Display your eggs in our good looking twin six-pack egg box. You easily can split each pack to contain six eggs each. 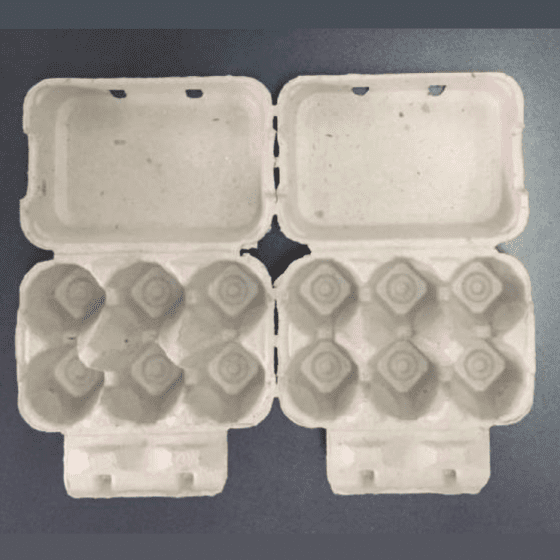 Our Ekopak egg boxes are made from 100% recycled papers. The price here is for a bundle of 100 pieces of the detachable twin-pack egg boxes for 12 eggs each. They are great for gift packs, organic eggs, and shelf sales of eggs. Your eggs are well packed and resistant to the effect of water-based liquids (especially water) that may spill on the crates from time to time. We sell in bundles of 100 When you split the twin pack, the individual box will contain six eggs (that is 12 eggs for the twin pack), and seats small, medium, large, and jumbo sized eggs. Prevention of seepage of the content of broken or soft shell eggs into the egg boxes underneath and still remain strong and firm. Unlike several carton egg boxes that will be destroyed by liquid from your eggs or water, our twin six egg boxes are very resistant to water while keeping your eggs safe. Shock-proof (ideal for transportation). 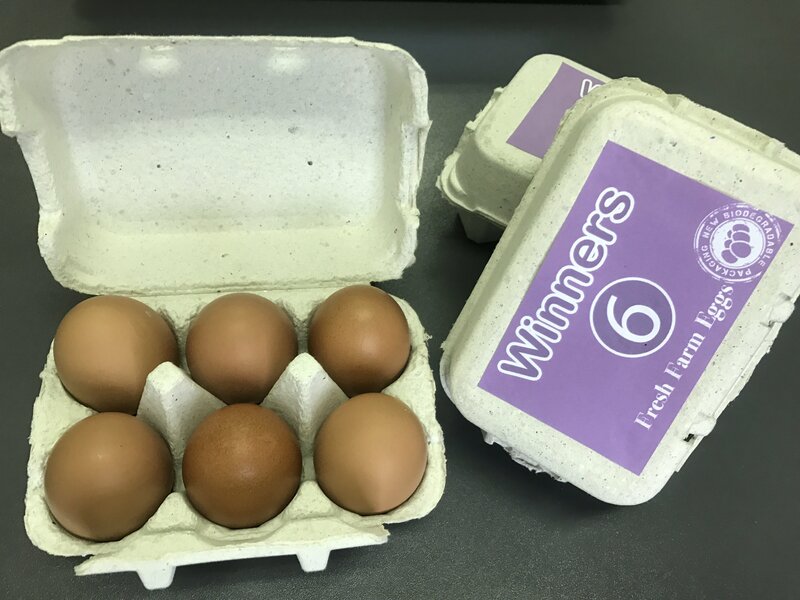 If you will be transporting eggs from one location to another, our EKOPAK water resistant carton twin six egg boxes are ‘shock-proof’ making it an ideal choice for you and their unique ventilation design helps to provide your eggs with fresh air. Does Not Increase Number of Cracked Eggs: Using our water-resistant carton egg boxes on the farm will help reduce cracks because of their carton body that is tender but firm. Not Destroyed by Accidental Water Spillage: While many common carton egg boxes are easily destroyed by accidental spillage of water or unexpected rainfall, our water resistant egg boxes will remain firm and strong and lasts for a long time. They are solid & reusable. EKOPAK water resistant twin six pack egg boxes were made to international standards. EKOPAK water resistant twin six pack egg boxes are very good ideas for presenting your eggs as gifts, souvenirs and you can even paste on stickers on them if you sell eggs. It will be an good idea to promote your business. They are very suitable for small, medium and large eggs. The snap cover design helps hold the lid to the body of the box, thereby, keeping your eggs safe. Remember that we sell in bundles of 100 egg boxes, so the price here is for 100 pieces.